A novelty at Tucson 2016. 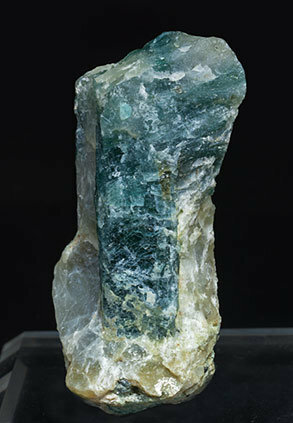 An isolated crystal, translucent, bright, with a uniform and intense bluish-green color, with very well defined and deeply striated prismatic faces for the species. Of an excellent quality for this rare silicate. 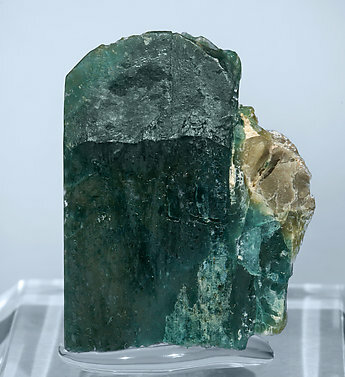 Very sharp flattened and complete crystal (on the base it has small fragments of a feldspar matrix) with very well defined faces and edges and a perfect termination, slightly rough but free of damage. 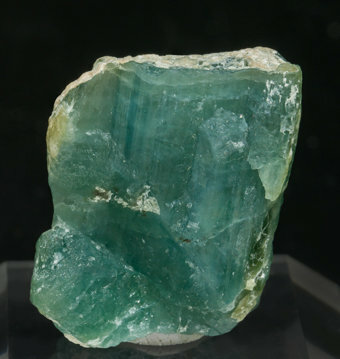 It is translucent and has a very deep and uniform bluish-green color. Among the best for this very rare species, a classic from Madagascar. A novelty at Tucson 2016. 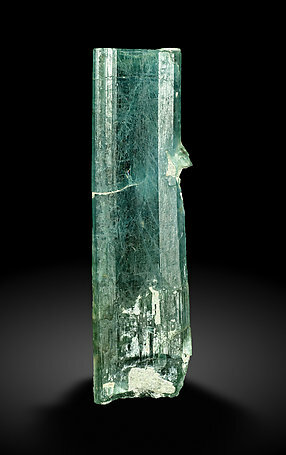 An isolated crystal on matrix. 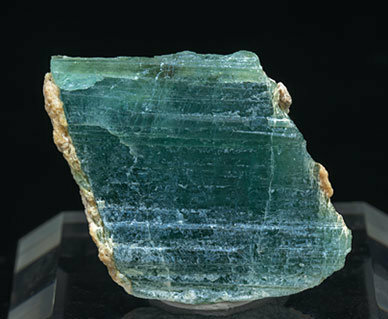 It is translucent, bright, with a uniform and intense bluish-green color and with very well defined prismatic faces. Of an excellent quality for this rare silicate. Group of Grandidierite crystals on matrix, one of them clearly dominant and very large for the species. 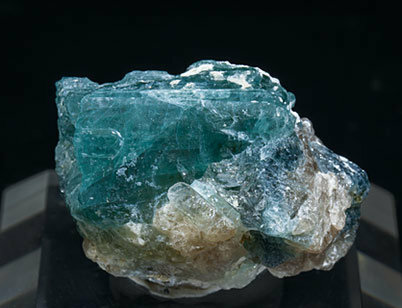 The crystals, unusually well defined, are translucent and have a uniform and intense bluish-green color. 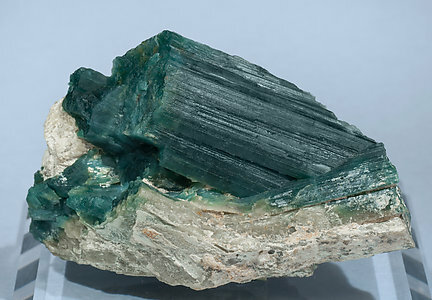 The main crystal has a rough termination but it is complete, as the detailed image shows. The sample has great quality for this rare silicate. A novelty at Tucson 2016. 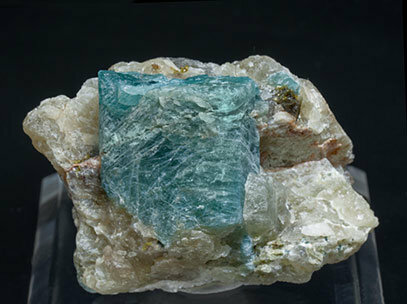 Parallel growth, on matrix, of translucent and bright crystals with a uniform bluish green color and with very well defined prismatic faces. Of an excellent quality for this rare silicate. A novelty at Tucson 2016. 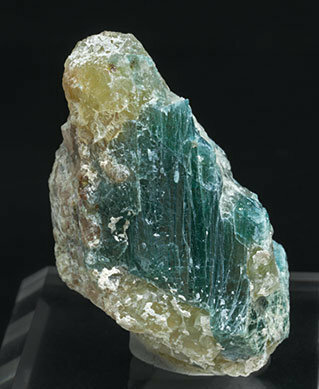 An isolated crystal on matrix. 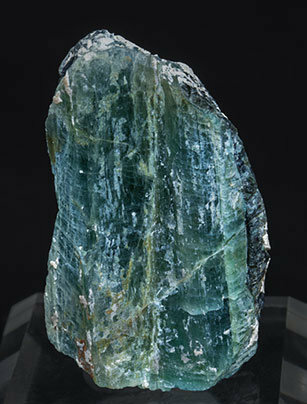 It is translucent, has a uniform bluish-green color and has very well defined faces and edges (also the terminal). Of an excellent quality for this rare silicate. A novelty at Tucson 2016. Single crystals on a massive Quartz matrix. The crystals have some very well developed faces and edges on the prism, which is very uncommon for the species. 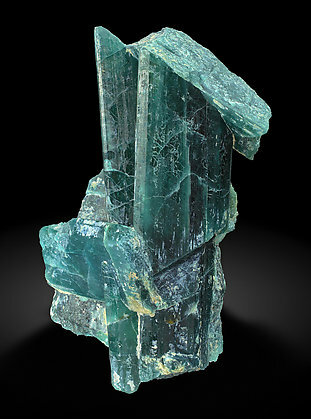 The crystal is translucent and bright and has a uniform greenish blue color. Of an excellent quality for this rare silicate. A novelty at Tucson 2016. 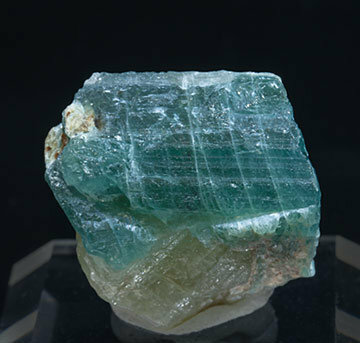 Single crystal on matrix, with a uniform bluish green color and with faces and edges very much better defined than usual for this species. Of an excellent quality for this rare silicate. A novelty at Tucson 2016. 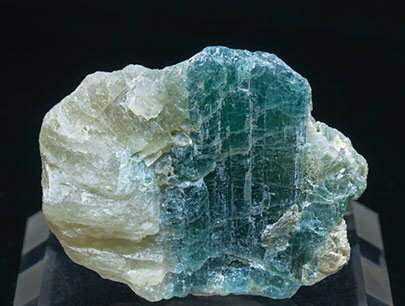 Parallel growth, on matrix, of translucent and very bright crystals with a uniform and intense bluish green color and with very well defined prismatic faces. 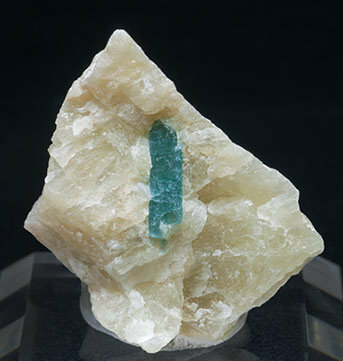 Of an excellent quality for this rare silicate.